Toon's Tunes : Sevendust at #Aftershock, too: more photos! 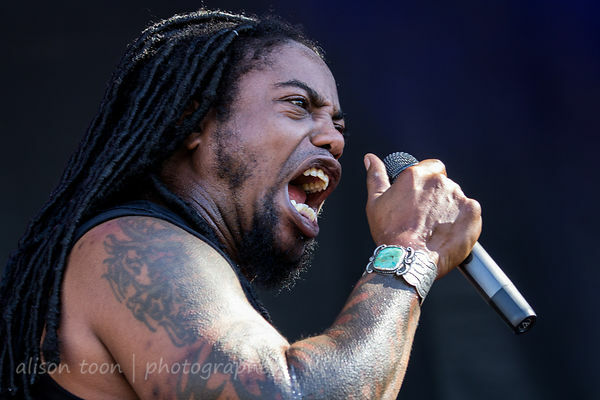 Sevendust at #Aftershock, too: more photos! So very, very good to see Sevendust at Aftershock this year! Don't forget to check out their new album, Kill The Flaw, and see if you can catch them on their latest tour, because you really don't want to miss them. Great band, excellent show, thank you for the music! For all the photos, click here to jump to the Sevendust photo gallery! Still many more photos to edit from Aftershock: if you want to be notified, follow @alisontoon on Twitter, or like the Toon's Tune/Cameras and Cargos Facebook page.